PS03 is a compact and space-saving secretary that inspires with a minimalist design and a material mix of wood and metal. The design by Kressel + Schelle is available in different colours and styles. 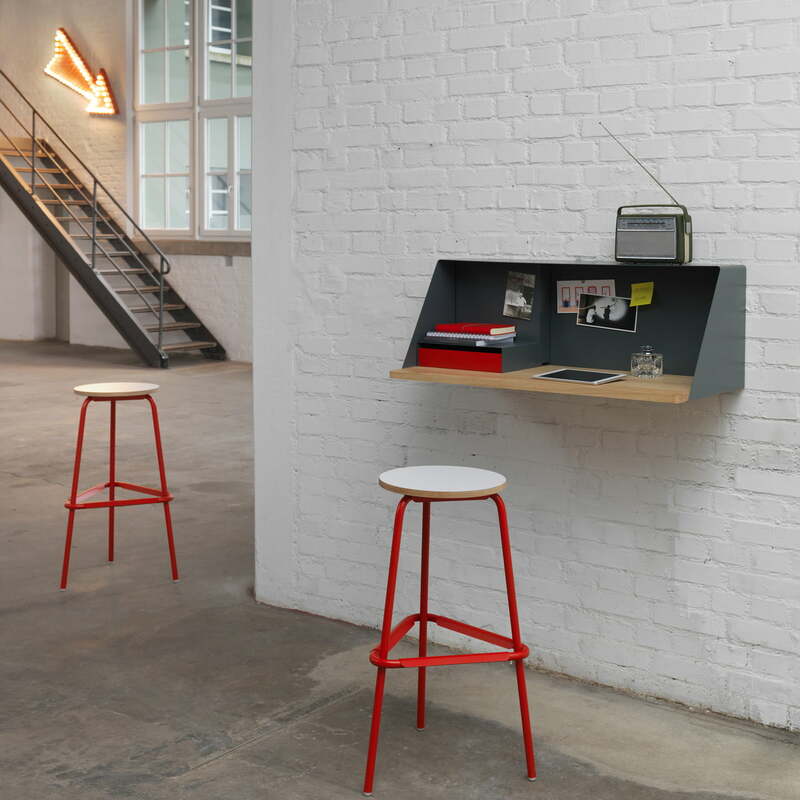 The PS03 secretary can be mounted flexibly and simply at any arbitrary height on the wall. With its compact form and the restrained design the secretary fits in the different living areas, where it space-savingly offers itself as a workplace. Equipped with a power box a laptop, Tablet, and other electronic devices can easily be connected and cables be stowed away. The PS03 is a modern interpretation of a classic secretary with his mix of metal and solid wood. 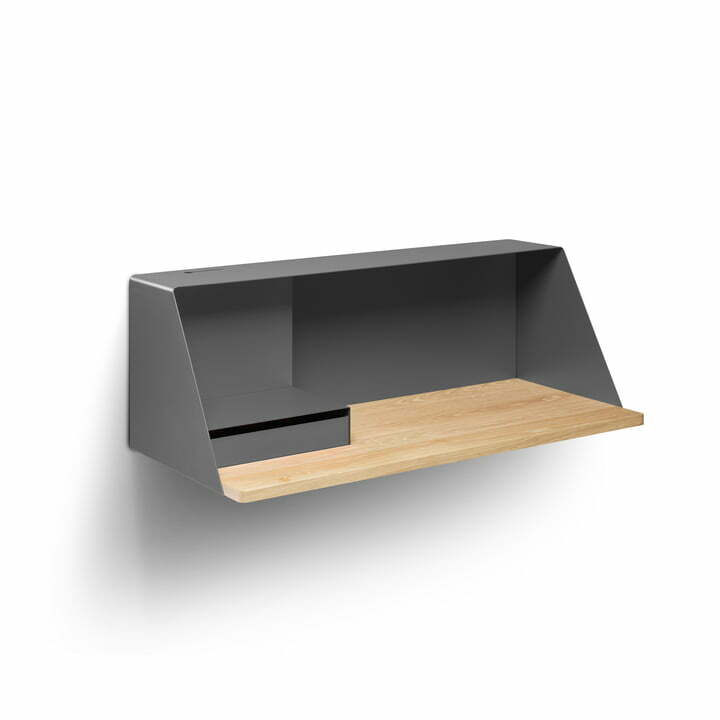 A practical work space and attractive wall shelf in one.